Project: Design of two pop-up sculptures with the same motif in different sizes and in different complexities. 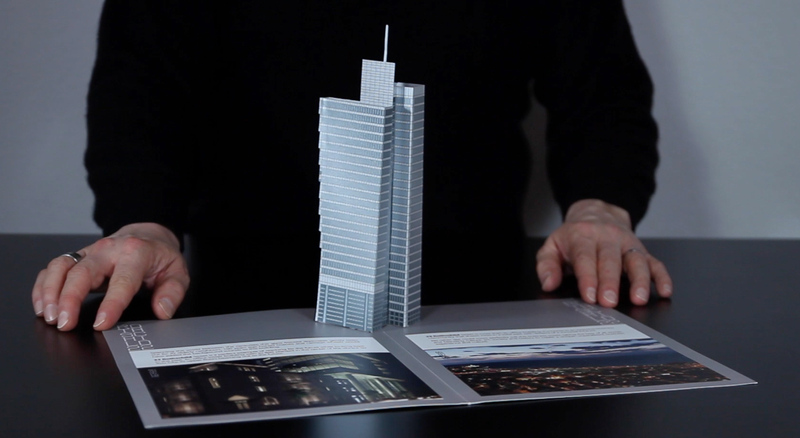 Both models show the “Rothschild 22 tower” in Tel Aviv. The large pop-up sculpture consists of more than 50 individual pieces, made from three different materials (corrugated board, silver foil, paperboard). The assembling of a single pop-up sculpture needs several hours. Due to the high complexity, this paper sculpture is only suitable for the creation of a few models. I needed several days for the assembling of 5 large pop-up sculptures in total. 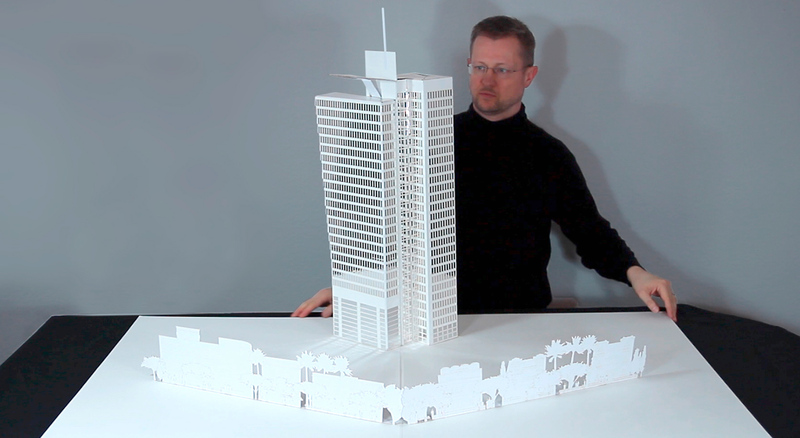 The small pop-up model consists of only two individual pieces, which can be assembled quick and easy. This model is suitable for the production of pop-up brochures in long production runs. Both designs are optimized for the production on a Highcon digital creasing and cutting machine.